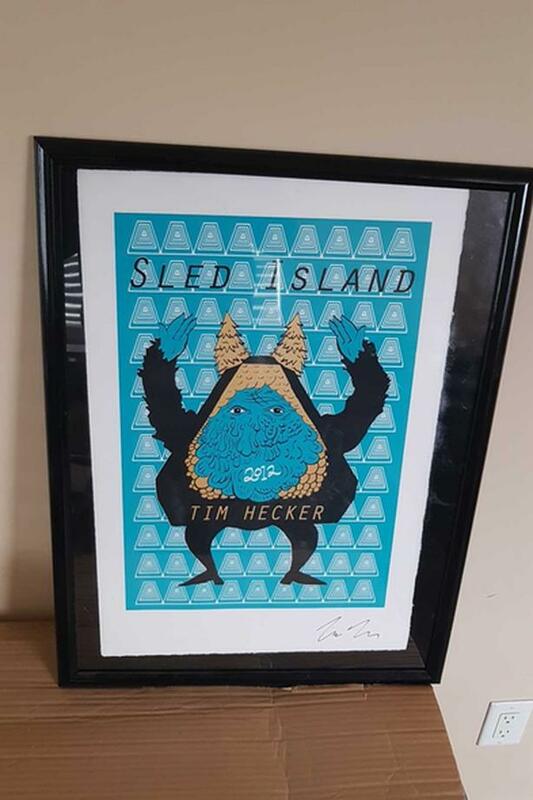 This is a signed Tim Hecker Sled Island 2012 poster, bought at a 2012 show in Calgary, Alberta and I got signed by him afterwards. Tim Hecker is a Canadian ambient/drone musician who has recorded prominently for the Kranky music label, and consistently receives favorable reviews from Pitchfork and other related sites. 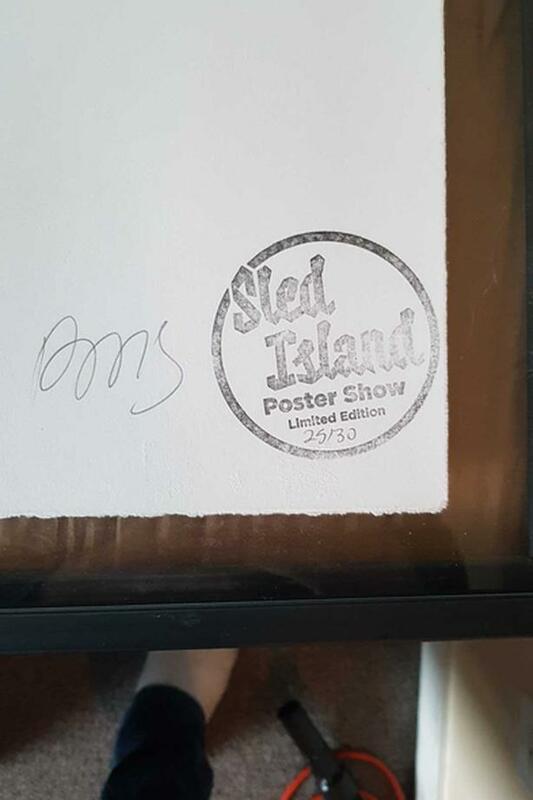 Only 30 of these posters were pressed. I still enjoy Tim's music but I don't listen near as frequently as I did 7 years ago. I'm sure this would make someone else happier than it does me at this point. The frame cost 15, and this is factored into the price accordingly at face value. I am open to reasonable offers or maybe we can talk record trades. If you're outside of Victoria general, I can still deliver, but we'd have to mark a date on the calendar. I hunt 78rpms up north a couple times a month.